I was recently beyond excited to hear that the Minions are set to star in their own film, a spin-off/prequel to the 2010 Despicable Me and 2013 Despicable Me 2. In case you haven’t seen these movies, Minions are yellow henchmen who have existed since the beginning of time, evolving from single-celled organisms into beings who have only one purpose: to serve history’s most ambitious villains. So admittedly, they are driven by serving evil, but their industrious cuteness is what won me over from the very beginning, and continues to make me laugh every time I see their silly one or two eyed selves. Minions were also the stars of my team’s recent training. The focus of the workshop I put together was on understanding roles within an Agile context. It’s best explained by picturing an Agile team sitting in a room (of course if you picture the team as Minions, there’d be no sitting!). The Product Owner would be nearest the door, because he/she spends a lot of time outside the room talking to stakeholders to define the product/initiative and to prioritise features. The Product owner is always available at standups to listen to the Developers and communicate the product vision. The Scrum Master might be close-ish to the door too, because in the most diplomatic but firm way, he/she wants to ensure that the Development team is free of (admittedly well intentioned) disturbances from outside the team. The Scrum master is always at standups, checking the choreography of the event and keeping one eye on the Agile card wall to encourage the whole team to commit to pushing stories through the sprint. The Scrum Master is the team’s cheer squad. The Development team would be further inside the room, so that they can get on with what they need to be doing – building the asset. By arrangement, the Product Owner and Stakeholders are invited to sit with the Developers for walkthroughs. The Developers always feel they can catch up with the Scrum Master about in sprint activities or obstacles. Likewise they feel confident to seek product decisions from the Product Owner. 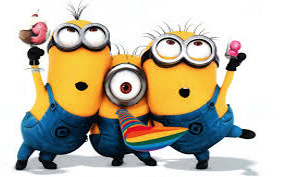 Suffice it to say that in the Minions’ world everything has a happy ending. Translating this into Agile terms – assets are delivered on time, with the features our stakeholders and users need and want, and the team has a bit of fun along the way! This entry was posted in Agile, Scrum and tagged Agile, Developers, Product Owner, Roles, Scrum Master on June 14, 2014 by Katrina Kolt.